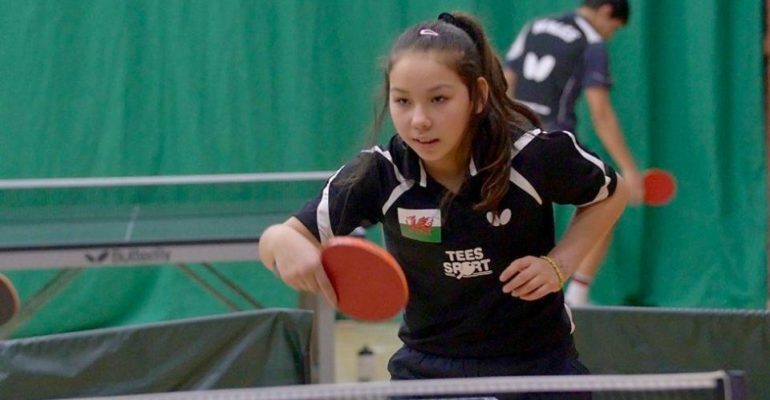 Wales have announced a squad of 93 athletes who will travel to the Gold Coast for the Commonwealth Games in April, including GLL Sport Foundation supported table tennis player Anna Hursey. Anna is the youngest member of the squad and youngest person to ever represent Wales at senior level in the Commonwealth Games. At just 11 years old she has been a GSF supported athlete since 2017, when she made her debut for the senior international Table Tennis team in Kosovo. Anna is joined by two other GSF athletes in the Team Wales Commonwealth Games team; Elinor Snowsill part of the Women’s Rugby 7’s team and Johnathan Hopkins competing in the steeplechase. Good Luck Anna, Elinor, Johnathon and all our Athletes heading to the Commonwealth Games in the Gold Coast.